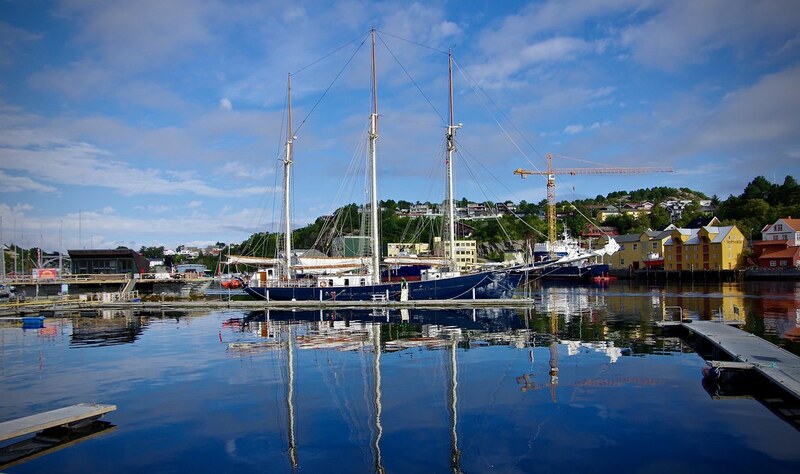 Visiting us here in Kristiansund today is the British schooner BLUE CLIPPER. 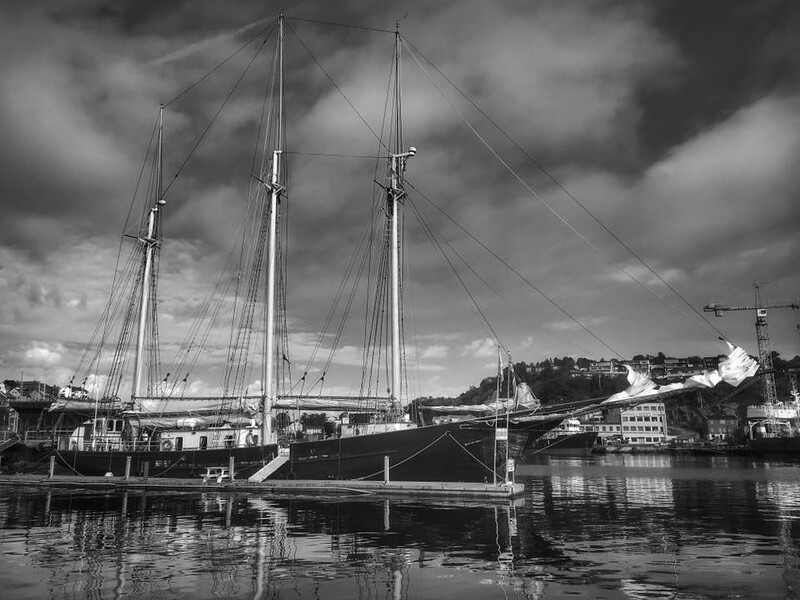 38 meters long, built in 1999, she sail with the Maybe Sailing in UK and before she arrived in my home town, she came from Rørvik. Beautiful shot - the black and white really enhances the vessel too! Thank you. The b/w was a quick one taken with my iPhone. 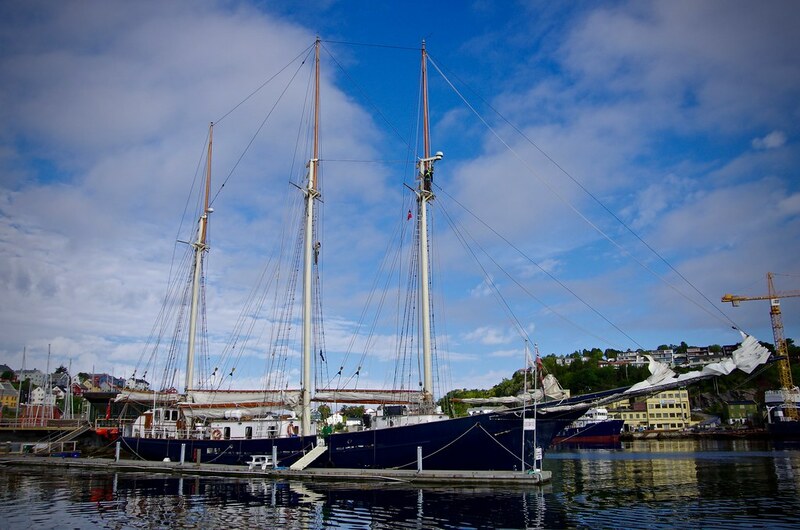 Sail and training ship Santa Maria Manuela (PT) inbound to island Sommarøy in august. 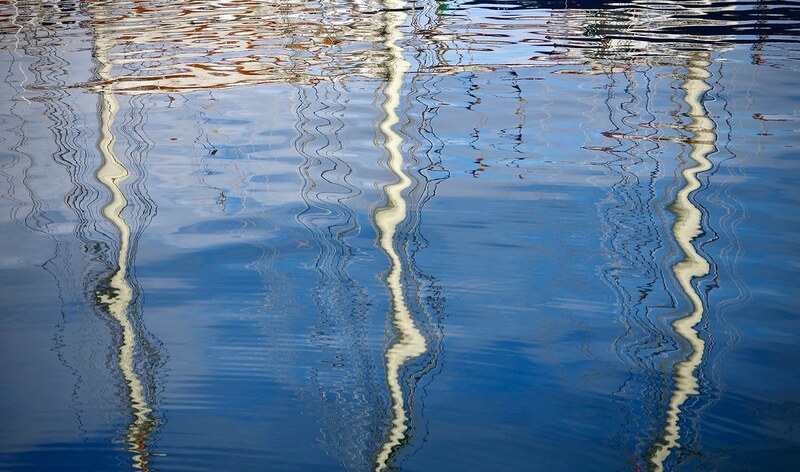 OHHH.... that is one truly beautiful sailing vessel! The shape of the bow, the white hull and the yellow masts and her rigging looks truly stunning! Azimut! What a truly outstanding image, a portrait conveying so much in its subtle simplicity. It immediately made me think of many an artists' rendering of ships in times gone by, and so brought together past and present in a beguiling timelessness. Thank you both for the comment. Such clippers are truely the majesties of the seas. And evironmentally seen the future!!! So we can expect wonderful pictures even through the next decades! Training and sailship Santa Maria Manuela inbound to island Sommarøy harbor back in august.Had to repost this beautiful vessel. I agree! You had to repost. Look at this wonderful bow line. This is indeed one of the most beautiful sail ships I have seen. The second best is a USCG sail-vessel that I had a giant puzzle of, up at my wall in my childhood room. Last edited by wherrygirl; February 8th, 2019, 11:54. Thanks. I forgot where it was mentioned earlier. Rembrandt Van Rijn on her way to Tromsø yesterday morning. They have a permanent departure from Tromsø on their trips around the county so far this winter.